Tax season is upon us again and this is the time of the year that you are either super excited because you are getting a refund or are dragging your feet because you are likely to owe the IRS. Before you head off to get your taxes filed, it is good advice to do some research and learn the new laws for 2015-2016 tax season. 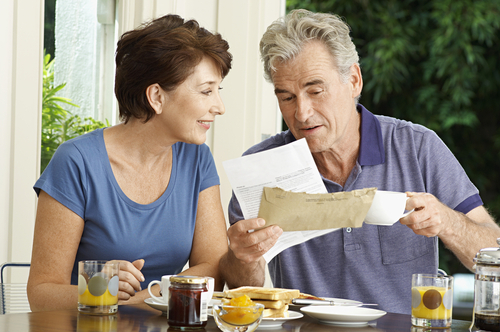 Make sure you are aware of any changes in tax breaks and your ability to take deductions. Also, at all costs do your homework and double check for any errors to ensure that you avoid an IRS tax audit. Keep in mind that it is not possible to completely avoid an audit. Provided you report all income and be sure to be as accurate as possible, even in the event that you get chosen for an IRS audit, you have nothing to fear. Believe it or not, neglecting to file is an easy way to get audited and it happens more often than you would think. Even if you know that you do not or will not end up owing any money to the IRS, you should definitely file. And, if you have a refund coming back to you and neglect to file, there are actually time limits placed on you to be able to receive your refund. So, you may end up being given a notice from the IRS and forced to file for the year that you skipped AND you will end up losing out on any money owed to you from the IRS. Outside of your main source of income, whether you are W-2 or 1099, you must report all income you and/or your spouse received for the year prior. Keep in mind that it is generally easy to remember to report the income from your job, for example, while letting it slip your mind to report income you received from a short term independent contractor position or even perhaps a kickstarter campaign. The IRS has documentation providing them with the exact numbers of your income for the year so they know your income totals before you even file. Thus, if their records indicate you made $55,786.42 from multiple sources including your job, your tax return better state $55,786.42. Being off by even one dollar is not recommended. If you have all your documentation, there is no need to worry in this regard, however. When you go to see your tax preparer, be sure to be thorough with your bank statements and any W-2 or 1099 that were mailed to you. As it pertains to contributions, there are a couple of things you want to pay attention today. First, be 100% accurate and honest with reporting of your contributions and donations. You do not have to show proof or documentation to your tax preparer and so it may be tempting to pad your numbers a little bit. But be warned, in the event you get audited, you will be asked to provide receipts and invoices documenting your donations for the year. The second item you want to focus on is pacing your contributions throughout the year. The IRS has charts and models to outline what the average contribution total is for a person or family with your similar income. So, even if you mean well, it may not be wise to go crazy with your contributions because let’s say that the average donation amount for someone in your income range is $2,000 a year and you just happened to donate $11,000, prepare for an audit. The great news is that if you were feeling might philanthropic, you have nothing to worry about if you have all the documentation to prove your claims. So if you made $50,000 in income and donated $49,000, are you going to audited? Yes, most likely. Should you be worried? Not if you have all your documentation. There are many changes in tax laws for 2016 to be mindful of such as increase in Obamacare penalties and restrictions on the earned income credit. The one that you might want to pay the most attention to will be the FATCA (Foreign Account Tax Compliance Act). Basically the IRS has a new cutting edge program that allows them to exchange information with financial institutions all over the world, digitally. What does this mean? This means that the IRS knows exactly what you have in that Swiss bank account, so don’t think you can get over on the IRS any longer. In summary, having a large donation footprint or having money in offshore accounts may be the red flag that gets you audited. But, be confident that as long as you report everything correctly and honestly, then an IRS tax audit will be painless for you.